I love this recipe because it makes very rich milk shakes without any ice cream. I don’t always have ice cream in the house because the kids eat it so fast. With this recipe we can have delicious frosty milk shakes for a fraction of the cost of those using ice cream. And all the ingredients are on the pantry shelf. Reader’s Tip: A reader named Chris made these with Splenda replacing the sugar measure for measure and said they turned out perfectly. If you like Splenda, then this tip would be a great way to reduce the calories and make them sugar-free. Thanks for sharing Chris! Add a big spoonful of peanut butter for a decadent Chocolate Peanut Butter Shake. Add a few broken red and white candy mints for a refreshing Chocolate Mint shake. To make Vanilla Milk Shakes, omit the cocoa powder, reduce the sugar to 1/2-cup and add 1 tablespoon (yes a full tablespoon) of vanilla flavoring. For a french vanilla milk shake crack in an egg too. I get more email about this recipe than I do about almost anything else. The people who love it always add the oil and the nonstick spray. The people who hate it seem to think they can get by without these ingredients. Let me make things clear. Fat makes things creamy. It may seem weird to add vegetable oil to a beverage, but manufacturers do it all the time. Coffee creamer has oil and shortening it. 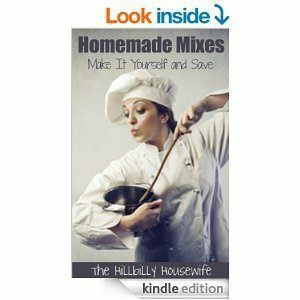 Fancy coffee mixes and hot cocoa mixes have oil and shortening added. Whipped topping and many ice creams have added vegetable fats. Read the labels if you don’t believe me. Dairy fat tends to go rancid when it is dried so it is seldom used in commercial products. Instead food manufacturers use vegetable fats, usually of the hydrogenated variety. They are cheaper than dairy fats, don’t require refrigeration, and are easier to use. Fat is added to foods for many different reasons. 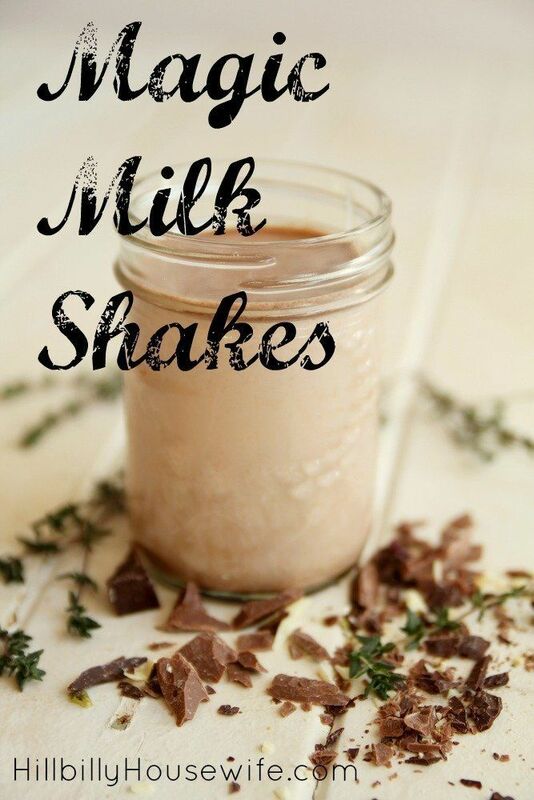 For this recipe it acts as a flavor carrier and adds richness and depth to the texture and flavor of the finished shake. Oil is the ingredient that makes your milk shakes thick and creamy. If you make it without any added fat you will not get a milk shake that resembles Wendy’s Frosties. You will get chocolate ice. Chocolate ice is nice, but it isn’t a rich, creamy Frosty. Think about how creamy mayonnaise is. It’s 99% vegetable oil. All of that creaminess comes from mixing oil with a small amount of vinegar and an emulsifier (eggs in the case of mayo). Then it’s all whipped to creamy perfection. To make your milk shakes creamy you need to emulsify the milk and the oil, the same way the oil and vinegar must be emulsified for mayonnaise. To emulsify something is to mix it up really well, so the particles won’t separate on standing. Nonstick spray contains liquid lecithin as it’s active ingredient. Lecithin is found in eggs and in soybeans, both of which are natural emulsifiers. You can buy liquid lecithin at your local health food store or online from natural food resources. If you liked, you could use 1/2-teaspoon of liquid lecithin instead of the nonstick spray. Most folks don’t have liquid lecithin laying about the house though, so I give you the option of using nonstick spray instead. Liquid lecithin is derived from soybeans. It is a fat; a healthy fat. When manufacturers discovered that liquid lecithin has nonstick properties they put it in a can with a propellent and thus invented nonstick spray. Before manufacturers discovered this, old hippies and health food freaks were using lecithin to grease their baking pans and adding it to salad dressings so they would stay mixed longer. Today, some vegans use liquid lecithin as an egg substitute in baking. Most store-bought chocolates and salad dressings have liquid lecithin added to give them the creamy satiny quality that we all look for in these products. Which brings us back to this recipe. If you want a luscious, satisfying milk shake then follow the recipe and add the oil and the nonstick spray as directed above. Before you write me and complain that this recipe advertises something that it doesn’t deliver, please check the recipe to see if you left anything out or fudged on any of the ingredients or directions. Try the recipe again, being sure to measure everything carefully. If you don’t add enough ice, then the recipe won’t be very thick. If you add too much water, then your blender will be overloaded. If you don’t add enough dry milk, then it will taste watery. If you only blend it for a moment or two, then it will be chunky instead of creamy. If you omit the oil and nonstick spray then you won’t get a milk shake. You’ll have something similar, but it will fall short of the mark. The directions are specific for a reason. If you follow them then you will have satisfying results. Assuming you doing everything as written and you still are not pleased, then you may write me and complain. I may be able to help out. Thank-you. P.S. In my original recipe I pointed out that for an almost fat free milkshake you may omit the oil and only use a squirt of nonstick spray instead. Many people were satisfied with this version and enjoyed it immensely. Since posting my rant, they have emailed requests that I include this option for others who may need it for dietary reasons. If you prepare milk shakes with this option and are not satisfied with your results, then try it with the oil added, to see if you like it better. After trying both versions you may write me and complain if need be. I just love these homemade drink recipes. Here’s another favorite of mine for a chai tea mix.